Did you ever say that something that bothered you emotionally made you sick to your stomach? Or that you got “butterflies” when nervous? In fact, it’s long been known that intense emotions can give you indigestion, induce nausea, make you vomit, and even bring on chronic gastrointestinal conditions like diverticulosis and colitis. Multiple studies back up this idea that gut problems tweak the enteric nervous system, which then sends messages to the brain that influence mood. Research out of the University of Cork in Ireland found that mice raised under sterile conditions—which caused them to lack diverse gut bacteria—became loners and displayed anxiety and depression.2 It turned out that supplying the mice with the probiotic Bifidobacterium worked better than Lexapro in turning their gloomy mood around. Then a study led by the University of California at Pasadena found that autistic mice lacked the normal gut bacteria Bacteroides fragilis, which non-autistic mice did have. When the mice were fed this microbe, their behavior improved, and they manifested fewer symptoms of autism.3 The scientists believe that if gut bacteria aren’t in normal balance, it can contribute to the production of a chemical called 4-ethylphenylsulphate, which somehow triggers autistic behavior. Blood levels of 4-ethylphenylsulphate were 40 times higher in the autistic mice than in the controls. It’s noteworthy that three quarters of autistic people have gastrointestinal problems. Studies also confirm that people suffering from Post-Traumatic Stress Disorder (PTSD) tend to have different gut bacteria patterns compared to normal populations.4 Researchers from Stellenbosch University in South Africa found that PTSD sufferers had significantly lower levels of three types of gut bacteria—Actinobacteria, Lentisphaerae and Verrucomicrobia—than did people who experienced trauma but did not develop PTSD. They also found that survivors of childhood trauma had lower levels of two of these bacteria strains, possibly making them more vulnerable to developing PTSD later in life. The researchers theorize that because these bacteria regulate immune function and inflammation, lower levels lead to systemic inflammation which can disrupt brain function and lead to mood issues and PTSD. They’re investigating using prebiotics and probiotics to treat PTSD. Finally, people suffering from irritable bowel syndrome and other gastrointestinal problems tend to have significantly higher levels of depression and anxiety compared to populations without chronic digestive issues. Of course, it makes sense that when you have a physical problem, you might be more prone to depression than when you feel great, but the relationship seems to transcend that simple explanation. Treatment approaches to gut problems often involve antidepressants and mind-body therapies, but experts suggest when they are successful, it may well be because they’re acting directly on the enteric nervous system in the gut and not just on the brain. They also suspect that gastrointestinal problems may affect cognition, including memory and thinking ability. 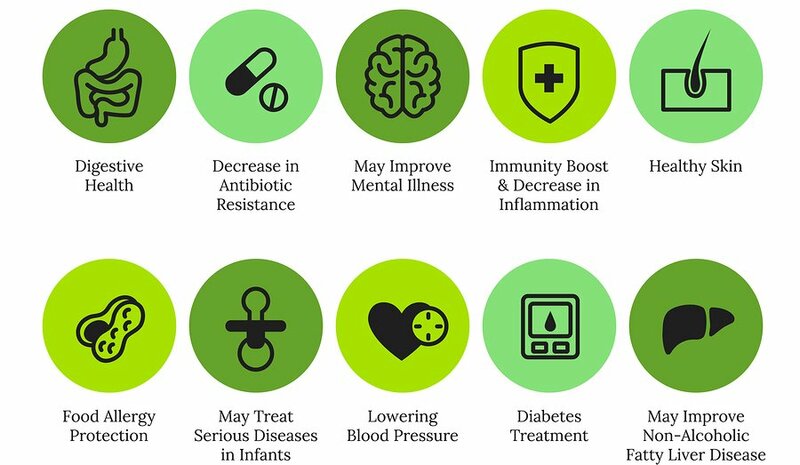 It seems evident that having a healthy spectrum of intestinal bacteria is key to good mental as well as physical health. Unfortunately, many things can disrupt gut bacteria, most notably antibiotics. Those of us who have had antibiotic treatment may well have suffered an imbalance of intestinal flora as a result, and there’s some evidence that the gut never fully recovers after antibiotic exposure.5 Dr. Martin Blaser of NYU’s Langone Medical Center explains, “Early evidence from my lab and others hints that, sometimes, our friendly flora never fully recover. These long-term changes to the beneficial bacteria within people’s bodies may even increase our susceptibility to infections and disease. Overuse of antibiotics could be fueling the dramatic increase in conditions such as obesity, type 1 diabetes, inflammatory bowel disease, allergies, and asthma, which have more than doubled in many populations.”6 Dr. Blaser wrote the above statement in 2011. Now, with new research emerging, he might add depression, anxiety, PTSD, cognitive impairment, and even suicidal ideation to that list. Chlorine in the drinking water not only serves to kill bacteria in the water; it is equally devastating to the colonies of beneficial bacteria living in the intestines. The problem is that nature abhors a vacuum, and harmful bacteria then move in to occupy the abandoned "plots." Virtually all meat, chicken, and dairy that you eat (other than organic) is loaded with antibiotics, which destroy all of the beneficial bacteria in your gastrointestinal tract. Cigarettes, alcohol, and stress are also major culprits, as are some antibiotic herbs, such as goldenseal (if taken in sufficient quantity and/or used too frequently). You don’t need a diagnosis of depression to do something about keeping your intestinal flora in good health. 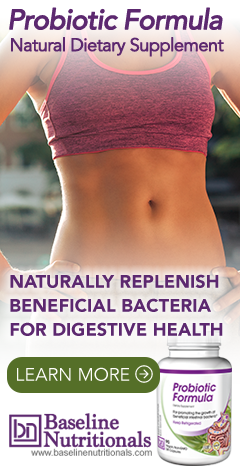 Taking a high-quality probiotic makes sense for all of us. Even if you’ve never taken an antibiotic, you have probably been exposed to antibiotic residues through your drinking water or through food. And as mentioned above, so many things can disrupt gut flora, from chlorine in drinking water to painkillers to radiation to the natural aging process. The best route is to use a probiotic that contains a good spectrum of super strains guaranteed to remain viable at the time of consumption (not just time of manufacture). It also helps to eat plenty of fermented foods, avoid sugar and high-fat diets, and load up on vegetables. Even yogurt helps if it contains live cultures. A UCLA study found significant differences in brain function as shown in MRI scans when women consistently consumed probiotic-laden yogurt, compared to women who did not eat the yogurt.7 The yogurt seemed to stabilize reactivity in several brain regions. 1. “The Brain-Gut Connection.” Johns Hopkins Medicine. 28 June 2018. Hello, I am interested in getting information to improve Squizophrenia symptons.